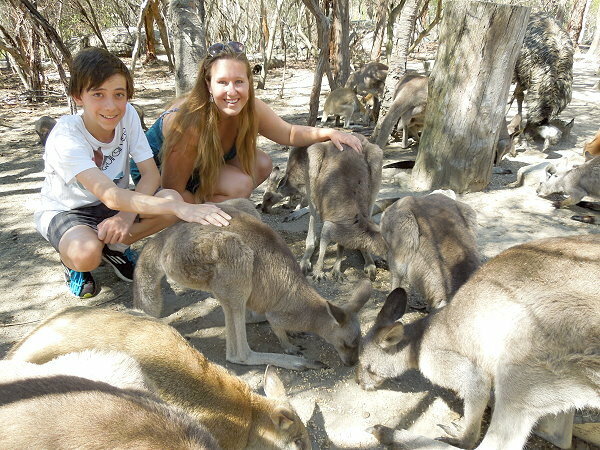 Set on 80 acres of idyllic bushland, you can get up close and personal with native and farm animals. 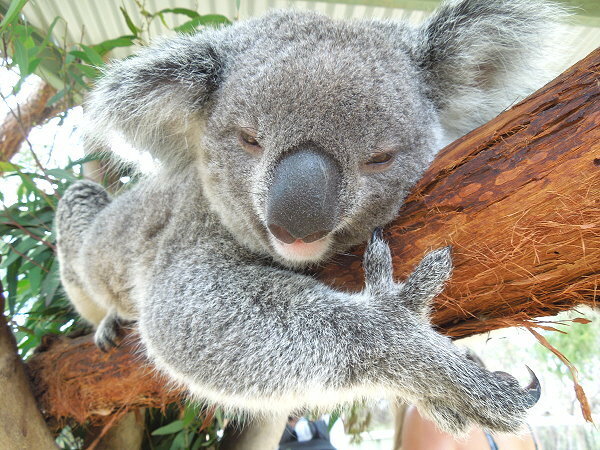 Meet kangaroos, emus, koalas, pythons, wombats and a host of farm animals including alpacas, pigs and rabbits. Many of these animals are free ranging but you will always see them at feeding times when they congregate behind the café to get hand fed (10 am and 3.45 pm). The emu called Happy Feet loves kids. 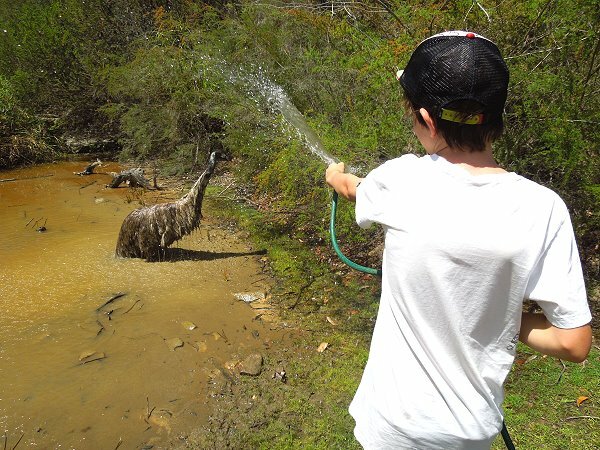 He especially loves being hosed down on a hot day. 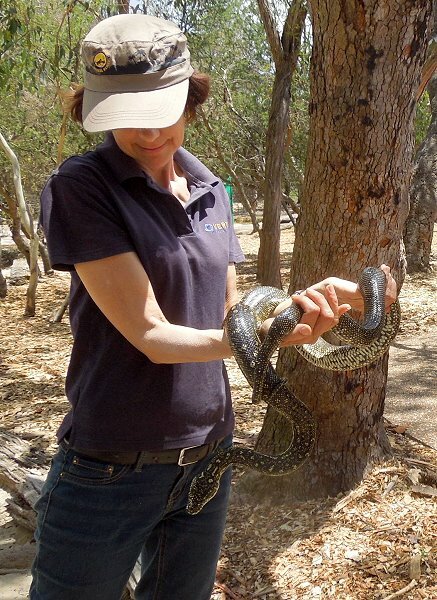 There are also close encounters and ranger talks with the resident dingos, Tasmanian devils, birds of prey, flying foxes, echidnas and snakes. During the school holidays there are extra activities like face painting, camp outs or ‘Be a ranger for a Day’. Fantastic and educational for kids and overseas visitors. The land on which Walkabout Park sits is rich in aboriginal history. The Hawkesbury rock engravings are thought to be among the richest and most varied in the world. The extensive sandstone platforms of the area provided ideal surfaces for the art form. There are over 4,000 engravings, stencils and paintings in this area. 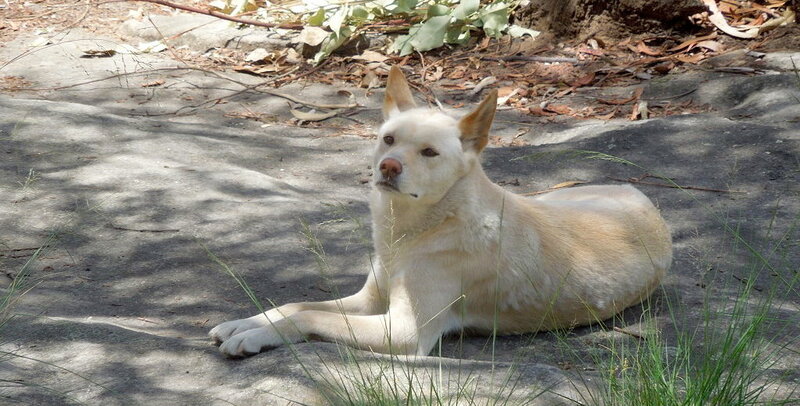 You can visit the local ancient Aboriginal sites at Walkabout Park on your own or with a ranger-lead tour. 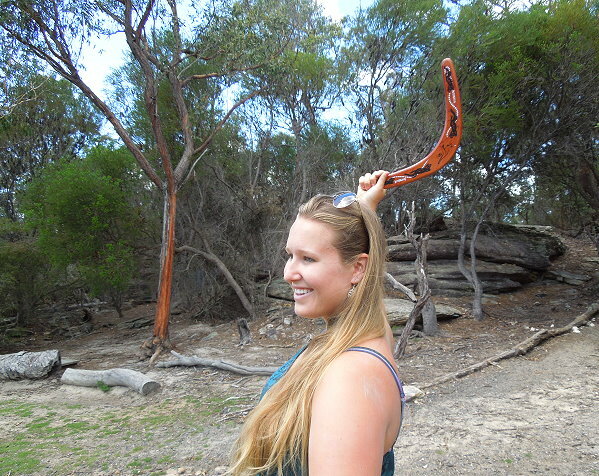 Learn about bush food and medicines, how to throw a boomerang or the history of the didgeridoo.